The 2-line Big Buzz is the bigger brother of the Buzz, offering a larger surface area, greater wing span and more power, it’s the ideal kite for bigger kids or adults to begin to enjoy kiting and start to experience the powerful force of Mother Nature. The Big Buzz offers you a tantalising taste of the power of the wind and in stronger conditions you’ll really start to feel what Mother Nature is capable of. Whilst this kite isn’t suited for traction or water kiting, there are still hours of fun to be hand with the Big Buzz for beginners and advanced kiters alike. 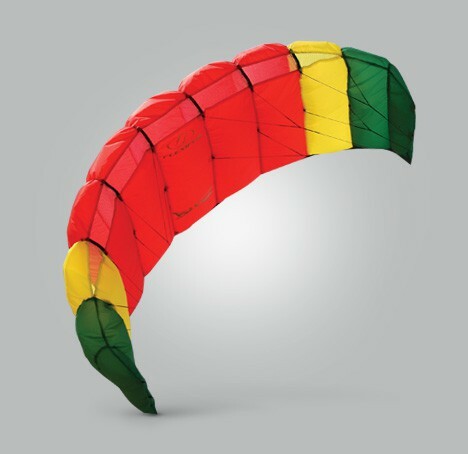 The simplest way to control a power kite, two lines offers the ability to control in the air, without having to worry about the effects of the braking lines. This makes it the ideal start for beginners and children who just want to get out and have fun! Comfortable and Safe Control Gear Flexifoil’s comfortable wrist straps offer soft protection to the user, whilst spreading the pull of the lines around the wrist to give a greater and more natural feeling of control to the flyer, ideal for kids. Flexifoil take the hassle out of setting your kite up and packing down through simple features like our croc grip and colour coded lines. All of Flexifoils products are built with you and your enjoyment in mind, they just want to get you having fun as quickly as possible! 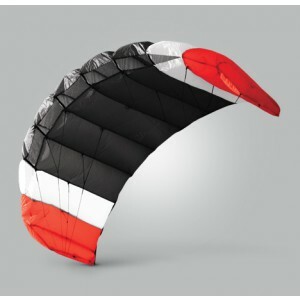 The Big Buzz is produced from high quality Sora Ripstop sail material, which, along with special product features like the taped trailing edge, gives this kite excellent durability. You can have confidence when flying (and crashing!) the Big Buzz.